Today’s holiday was established to give parents, grandparents, and caregivers a nudge to step back and look at our children and grandchildren as the unique individuals they are. Each child has a special personality and innate talents that combine to make them who they are. Today, celebrate each child’s exceptional character! Ask your children what they want from life, what their opinions are, and what is important to them. Then incorporate some of those things into your daily life! An adorable little boy runs to his grandma, excited that it’s “Cake Day!” “That’s right,” his grandma agrees, “Today we’re going to bake a cake!” The boy, hardly able to see over the counter, wants to be picked up and see what’s in the cabinet. His grandma happily obliges, and the pair carefully pick the ingredients for their cake together. “‘Hmmm…we need flour, salt, baking powder, and sugar to make a cake,’ says Grandma.” With all the ingredients set on the table, the two start measuring. The little chef is eager and curious: “‘Cake Day! How much, Grandma?’” he asks. As Grandma pours the flour into the cup and a soft, powdery cloud envelops them, the delighted boy laughs, “‘Too much, Grandma!’” The two work happily side by side, with Grandma adding the eggs while her grandson pours in the milk. As the ingredients start to mesh, Grandma exclaims, “‘Look! What’s happening to the batter?’” The little boy wants to help it along and takes up the wooden spoon. Round and round he stirs, creating swirls in the yellow batter until it’s ready for the oven. “‘Bake day! Your turn, Grandma!” the boy says and stands wide-eyed as his grandma slides the deep pan into the oven. The little boy and his dog settle in front of the oven to watch the cake bake. With keen expectation the boy asks, “‘Cake day! Ready, Grandma?” Grandma encourages her grandson’s inquisitiveness and explains the process: “‘We have to wait until the cake rises. The heat makes it rise. When you hear the timer go BEEP BEEP it will be ready.’” At last the cake comes out of the oven, but it’s not ready to be decorated yet. First, they must wait for it to cool. In a short time the high, golden cake can be iced and decorated. The little boy vigorously shakes a jar of sprinkles over the top, scattering a rainbow of colors across the white frosting. The cake is beautiful and just the right complement to the little boy’s Cake Day, Bake Day, Shake Day—Birthday! Ellen Mayer’s language-rich and playful story of a small child and his grandmother baking together is a wonderful introduction not only to reading but to the type of full-sentence conversational modeling that improves and increases literacy. The steps to baking the birthday cake flow organically and lyrically through the loving relationship between the little boy and his grandma, enticing young readers to learn more about the world around them and how it works. The repeated phrases “Cake day! Bake day!,” and “Ready, Grandma?” as well as the boy’s short statements offer opportunities for kids to read along and learn new vocabulary as they develop important language skills. Estelle Corke’s cheery illustrations glow with enthusiasm and the close bond between grandmother and grandson. The grandmother lifts, steadies, and holds the boy while still allowing him to perform all the tasks he can. The little boy, in his green apron, delights in every aspect of the baking process, his eagerness expressed in his animated smile and lively participation. The homey kitchen is awash in inviting colors and objects that children will recognize. The clearly drawn boxes and jars of ingredients, kitchen tools, and furnishings offer readers a chance to practice their vocabulary and learn new words. 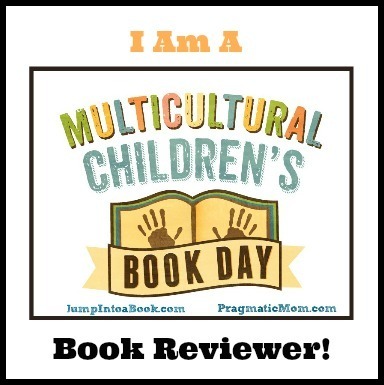 To see more books by Ellen Mayer as well as language development and reading strategies for young children, visit her website! Visit Estelle Corke’s website to view a gallery of her artwork! Star Bright Books publishes fiction nonfiction, and bilingual “great books for great kids” and provides literacy resources for readers. Grandma and her grandson baked a delicious, special cake—and now you can too! Invite your child or children to help, and make a Celebration of Life cake decorated just the way they’d like! Here’s the full recipe that Grandma uses. Recipe courtesy of Ellen Mayer. 1 stick unsalted butter, softened, plus a little to grease cake pan. Butter pan and dust with flour. Set the rack at the middle of the oven. In large mixing bowl, beat butter and sugar until light and fluffy. In the third bowl, beat the eggs and add milk. Add 1/3 of the flour mixture to butter mixture then alternate with the egg and milk mixture. Continue to alternate ending with flour mixture. Scrape bowl and beater often. Pour batter into prepared pan and smooth top with a spatula. Bake cake about 45 minutes. Insert knife or wooden skewer into the center. If it emerges clean, the cake is done. If not, bake for 5 more minutes. Remove cake from oven and allow to set for 5 minutes. Turn cake out onto a cake rack and leave to cool. The recipe—the step-by-step recitation of the ingredients and process for making any dish—is the heart of the culinary arts. Following along, improvising in just the right places, and inventing completely new tastes is its own special kind of literacy. Today we say goodbye to Culinary Arts Month, but hope that the joy of cooking delicious treats and reading fabulous books together remain common, fun activities with which to explore life and love—as shown with today’s book! An adorable little boy runs to his grandma, excited that it’s “Cake Day!” “That’s right,” his grandma agrees, “Today we’re going to bake a cake!” The boy, hardly able to see over the counter, wants to be picked up and see what’s in the cabinet. His grandma happily obliges, and the pair carefully pick the ingredients for their cake. “‘Hmmm…we need flour, salt, baking powder, and sugar to make a cake,’ says Grandma.” With all the ingredients set on the table, the two start measuring. The little chef is eager and curious: “Cake Day! How much, Grandma? As the flour pours into the cup, a soft, powdery cloud envelops them. “Too much, Grandma!” the delighted boy laughs. The two work side by side, Grandma adding the eggs while her grandson pours in the milk. As the ingredients start to mesh, Grandma exclaims, “‘Look! What’s happening to the batter?’” The little boy wants to help it along and takes up the wooden spoon. Round and round he stirs, creating swirls in the yellow batter until it’s ready for the oven. “‘Bake day! Your turn, Grandma!” the boy stands wide-eyed as his grandma slides the deep pan into the oven. The little boy and his dog settle in front of the oven to watch the cake bake. With eagerness the boy asks, “‘Cake day! Ready, Grandma?” Grandma encourages her grandson’s inquisitiveness and explains the process: “‘We have to wait until the cake rises. The heat makes it rise. When you hear the timer go BEEP BEEP it will be ready.’” At last the cake comes out of the oven, but it’s not ready to be decorated yet. First, they must wait for it to cool. Estelle Corke’s cheery illustrations glow with enthusiasm and the close bond between grandmother and grandson. The grandmother lifts, steadies, and holds the boy while still allowing him to perform all the tasks he can. The little boy, in his green apron, delights in every aspect of the baking process, his eagerness expressed in his animated smile and keen participation. The homey kitchen is awash in inviting colors and objects that children will recognize. The clearly drawn boxes and jars of ingredients, kitchen tools, and furnishings offer readers a chance to practice their vocabulary and learn new words. Grandma and her grandson baked a delicious, special cake—and now you can too! Here’s the full recipe that Grandma uses. Recipe courtesy of Ellen Mayer.